KPMG believes in the power of artists. In their ability to look at reality differently and thereby open the eyes of employees. In their creativity with which they bring the vision and mission of KPMG to life. And in their ability to inspire employees to bring a substantive strong presentation full of verve into the light. In other words: KPMG believes in the approach that Art Partner has been working hard establish for years: the use of artists to initiate change and innovation. This belief has led to a unique collaboration, in different areas and at different levels. Even though the content is perfect, if it fails to convey this, much of the quality of the work is lost. 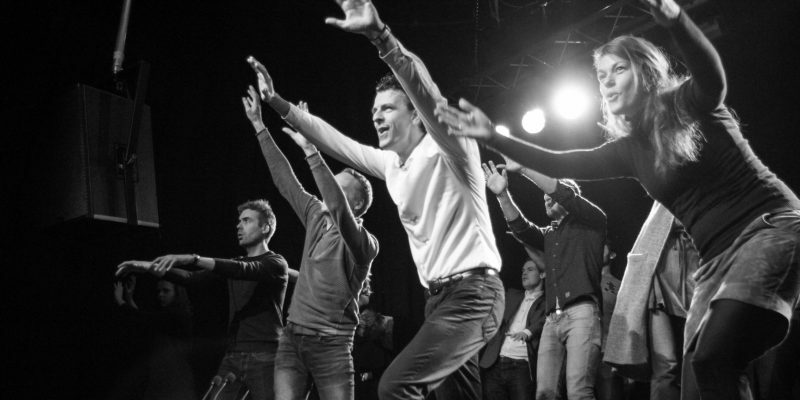 The Masterclasses Pitching Skills, which we have developed custom-made based on our experience in guiding teams working on a proposal, bring the performance to the same level as the content. 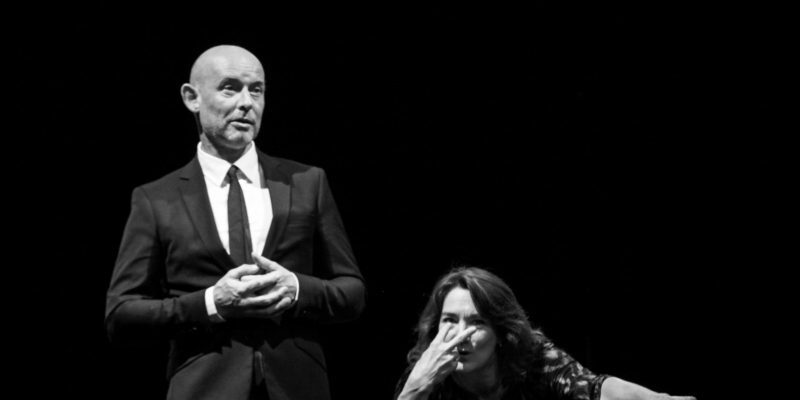 Led by theater makers and trainers Andreas Vonder, Grainne Delaney, Rosetta Drenth and Erik Willems, 500 partners, directors and senior managers of KPMG will be introduced to the laws of theatere in 2018 and 2019. 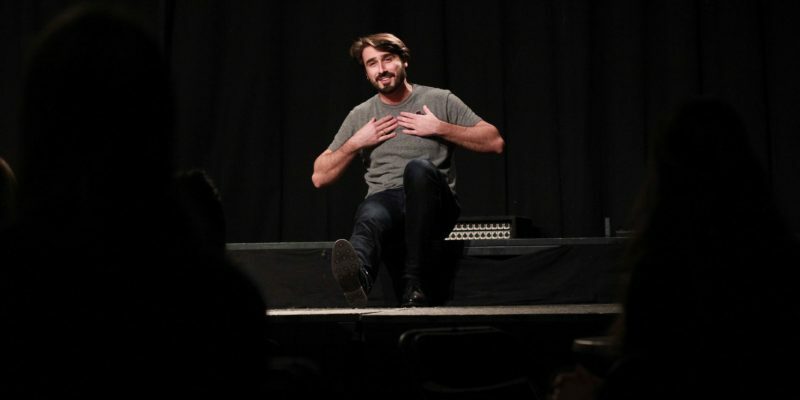 They learn how to grab the audience’s attention from the very first minute, how they can hold them, which building of a story works best and what the influence of non-verbal communication can be. For many participants it is a big step out of their comfort zone, but one that is more than worth it: after the master classes all participants have skills and self-knowledge that are needed to make more impact in the relationship with their customers. Tell a good story and everyone listens; tell an authentic story and everyone hangs on your lips, gets touched in the heart and never forgets again. The difference between a good story and a real story is made by the narrator. How true he is. How much he shows of himself. That requires courage and skills. 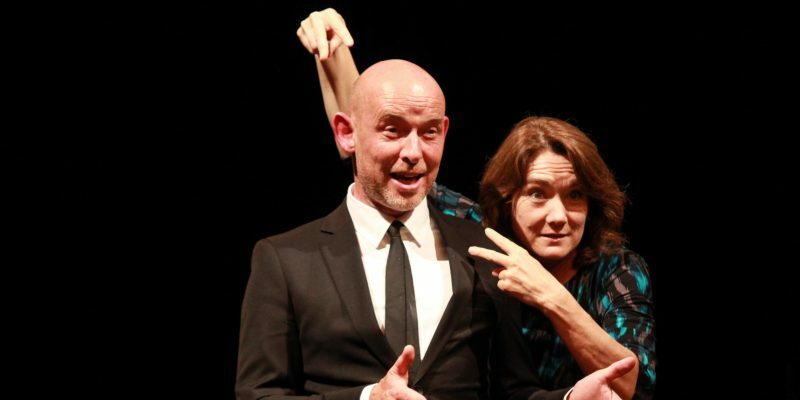 To challenge employees to show more of themselves during presentations and other contact with customers, we developed the Storytelling training together with playwright and director Andreas Vonder and writer and performer Graine Delaney. A training consisting of several sessions spread over six weeks. In addition to the sessions, the participants also get to work with the specially designed course book developed by the artists of De Beeldvormers. Storytelling has been given five times a year since 2013 and more than 400 employees have now participated. Numbers that are large enough to ensure a different culture within KPMG. And that happens too. The purely content-oriented and inward-looking culture is increasingly giving way to a culture in which everyone reveals more of himself and is better able to connect with others. 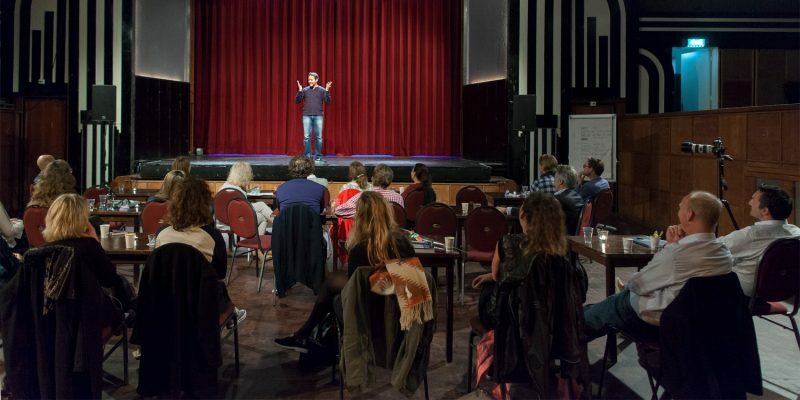 In order to highlight this difficult and often somewhat abstract subject in an impactful way, theatre makers Anne Gehring and Vera Ketelaars set to work and developed a theatrical lecture. As preparation they held dozens of interviews and asked questions such as: “What is the culture at KPMG? What is alpha male behavior? What about the work-private ratio? What does a woman need to become a top woman? Or does she not want that at all?” From the answers they made a theater text for no less than 160 voices. The text was pronounced by 160 women, in the presence of members of the Executive Board and Supervisory Board. They were silent. The reading of the text also served as an introduction to the new internal network within KPMG: KPMG Inclusive. 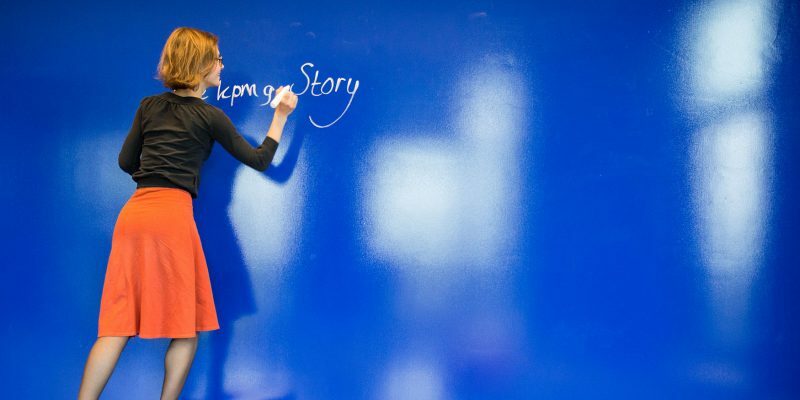 As a start of the new KPMG Inclusive network, more than 200 KPMG women followed an intensive storytelling workshop. Under the direction of playwright and director Andreas Vonder and writer and performer Graine Delaney, the participants learned how to quickly develop a story that causes impact. And by telling each other personal stories, the women got to know each other better and there was a deeper connection. A special day for no fewer than 250 KPMG employees. Nobody knew what was going to happen. Neither the partners. They only knew that they had to drive as a driver to a destination with three employees in their car. Once there, they were challenged to step out of their comfort zone. To look at reality differently. To turn things around, for example the name of the day. For this, 10 artists were ready to supervise workshops. Workshops with titles like: Intuitive Human Approach, Out of the Box Club, Tableau Vivant Image Boost and Catch Creativity. 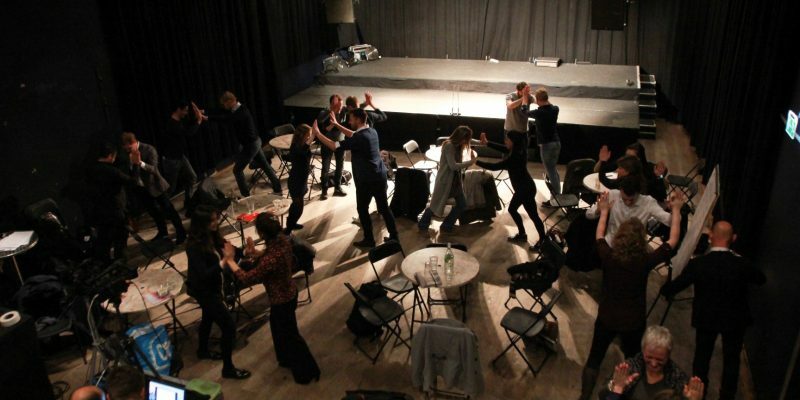 The workshops ensured that the participants got to know themselves, their colleagues and the company better and some of them uncovered unprecedented creativity. But it was also instructive and confrontational. Especially during the film made especially for the occasion by theater writer and philosopher Nisrine Mbarki in which she tried to answer questions such as: “Do we really look at each other or do we only see each other? What is contact with each other? And there is a lot of consultation in the workplace, but do we actually hear each other? What does the other person really say?” In the film she went undercover on the KPMG workplace for a day and despite the fact that the exact content is confidential, we can say that she gave the room a deafening silence. In short, a day that lived up to its (reversed) name. Develop a design for our Customer Experience Center. That was KPMG’s question. We started working with designer Rogier Martens. And that resulted in a room with high ceilings, grand lettering, new lamps, a grandstand and an innovation room. A space full of big gestures and new applications for recognizable forms. And a space that recurs constantly: the blue walls can be described with white felt-tip pens. 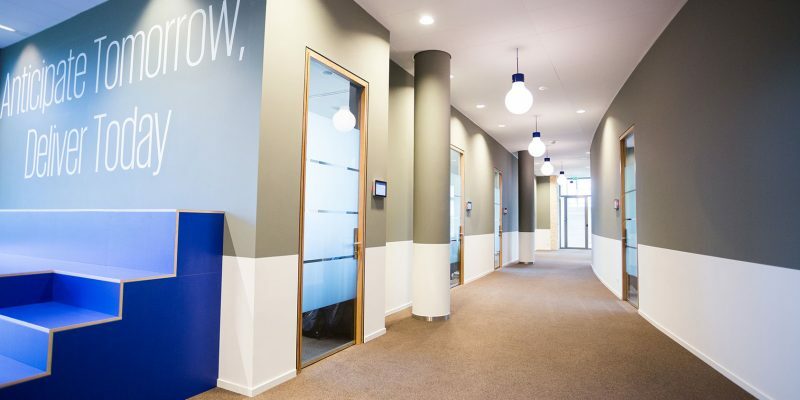 A Lab was a new KPMG space in Amsterdam North, far away from the head office and close to the start-ups with which they collaborate. For this we developed, together with artist and scenographer Maze de Boer and stylist Annemieke Paarlberg, an innovation room full of double layers that did justice to one of the most important conditions of innovation: to come into action. As visitors entered the room, gray predominated. And if they did not do anything, the room stayed grey. But once they got started, everything changed. The interior, but also the atmosphere in the room. They fell from one surprise into the other. The chairs turned out to have a bright colored seat, the cupboard doors became colorful and whiteboard at the same time as they opened, and table tops that were being used suddenly changed color. In addition, the space was relatively small and all furniture was simple. There was also a message in this: innovation can be done without luxury. A surprising space where newspaper Het Parool also came to take a look. KPMG was busy writing the KPMG story, the search for their ‘Why’, defining their vision and strategy and drawing up the promise (oath) that all employees had to make. 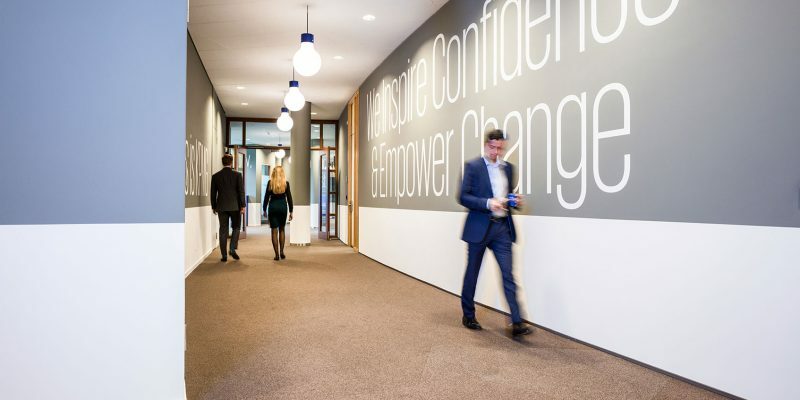 For this purpose, interactive sessions were held regularly with KPMG staff from all offices in the Netherlands. We made a contribution. In two different ways. So we designed, together with Annemieke Paarlberg, a storyroom where the dynamics were felt and which is still often used as a creative inspiration room. And together with De Beeldvormers we developed the booklet that all participants received: KPMG Story: inspiration and notes.